The New York Yankees begin a three-game set Friday against division rival Tampa Bay (6-4, second place in AL East) with the hopes of winning their first series of the season. Adam Warren, Masahiro Tanaka and Michael Pineda are the scheduled starters for the Yankees versus the Rays. 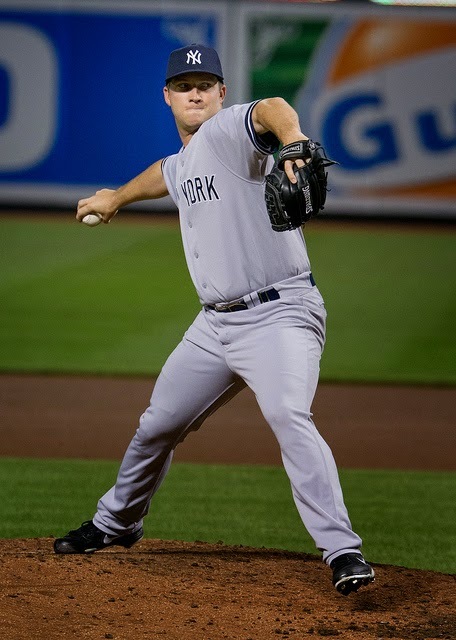 Adam Warren gets the start Friday. The Yankees are 3-6 on the season, good for last place in the American League East. The first nine games of the season have seen plenty of ups and downs for the club. The rotation has been OK, but big innings and bad defense have suffocated the Yankees. Warren pitched very well in his debut (5.1 IP, 2 R, 1 ER) against the Boston Red Sox, but took the loss. Tanaka will be making his third start of the season. He was undone by a poor inning in the Yankees' opener, but was a bit better in his victory over the Red Sox. Pineda is also set for his third start after picking up his first win despite allowing four runs against the Baltimore Orioles. Not all of the opposition scoring is the fault of the pitchers. The defense has been letting the team down with several miscues, each of which seems to open the flood gates for their opponent. On the offensive side, the Yankees best players with the bat are Chris Young (.318/.375/.727 with 3 doubles, 2 HR & 4 RBI in 23 plate appearances) and Alex Rodriguez (.286/.394/.571 with 2 doubles, 2 HR, 7 RBI in 33 PA). That’s right, a bench player and the 39-year-old designated hitter that missed the 2014 season have shown the most consistency at the plate. Mark Teixeira could also be placed in the group of players doing well overall (.241/.361/.655 with 3 doubles, 3 HR and 5 RBI). If Teixeira can keep up this kind of power the Yankees will deal with a low batting average. Carlos Beltran, Stephen Drew and Didi Gregorius are still trying to find some consistency to their plate appearances. Beltran (.171/.211/.286) looked the best he has all season in the finale against Baltimore Wednesday night with a two-run double off the top of the wall and a long drive to the warning track. Drew has two home runs (one a go-ahead grand slam) but just two other hits leaving his slash line at .148/.200/.370. Gregorius, one of the main defensive culprits has also been pitiful at the plate – .172/.219/.172. Brett Gardner, who missed the last two games of the Orioles series after getting hit in the wrist with a fastball, is expected to play Friday after an MRI confirmed he simply had a bone bruise. The Yankees will face Nathan Karns Friday, Jake Odorizzi Saturday afternoon and Sunday’s Rays' pitcher has yet to be determined. Karns, a rookie, will be making his third start of the season. He was knocked around by the Orioles in his first start of the season, but bounced back to notch the win against the Miami Marlins, racking up six strikeouts in the process of allowing just one run in seven innings. Odorizzi is off to a great start for the Rays. He is 2-0 with a 0.61 ERA, 0.48 WHIP and 10 strikeouts in 14.2 innings. His wins came against the Orioles and the Toronto Blue Jays, at home and on the road respectively. Odorizzi pitches well at Tropicana Field – 2.89 ERA, 1.07 WHIP, .206 BAA and 123 strikeouts in 127.2 innings. As for the Rays offense, they are still led by star third baseman, Evan Longoria, who is off to a bit of a slow start, and whose presence in Friday's lineup is in doubt after being hit by a pitch Thursday. Along with Longoria, the Rays are seeing the emergence of Kevin Kiermaier continue (.344/.382/.750 with 5 doubles, 2 HR and 4 RBI) and newcomer Steven Souza has two homers, seven RBI and three stolen bases on the young season. The Yanks will miss having to face James Loney, who destroys Yankees pitching, as he is on the disabled list with an oblique strain. Playing in Tampa has not been easy for the Yankees in recent seasons, as the Rays have won 14 of their last 22 against the Yanks at The Trop. Further, the Rays are 4-0-1 in the last five series between the clubs in Tampa since 2010. So it seems the Yankees will need to buck a couple of trends in order to get their season headed in the right direction.